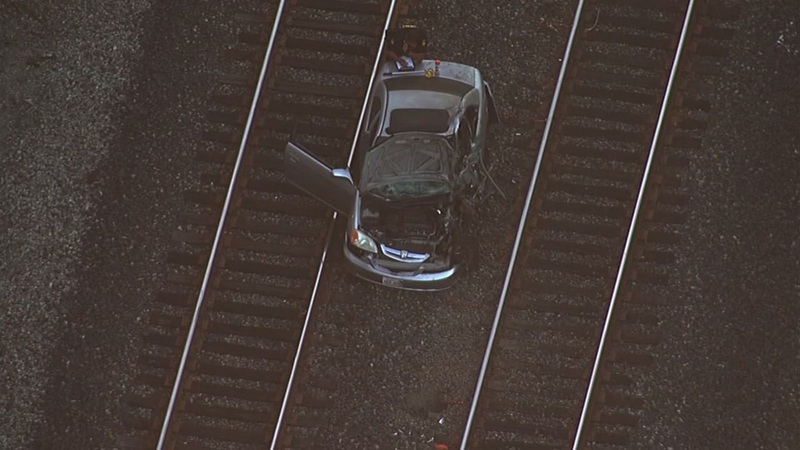 BURLINGAME, Calif. (KGO) -- All Caltrains are moving again Monday morning after one struck an unoccupied vehicle on the tracks in Burlingame, causing delays of more than an hour for some trains. Southbound train 102 struck an unoccupied vehicle on the tracks just north of the Broadway crossing around 5:30 a.m., Caltrain spokeswoman Tasha Bartholomew said. Trains stopped in both directions and a tow truck came to move the car from the tracks, Bartholomew said. There were 35 passengers on board the train and no injuries were reported. Caltrain officials worked with SamTrans to establish bus shuttles to serve the San Mateo, Burlingame and Millbrae stations, while BART was also honoring Caltrain fares. Bartholomew said crews removed the vehicle from the tracks at 7:09 a.m. and trains have been authorized to travel at their maximum speeds through the area.